There is no denying that South Africa has delivered some of the best and most celebrated chefs in the world. 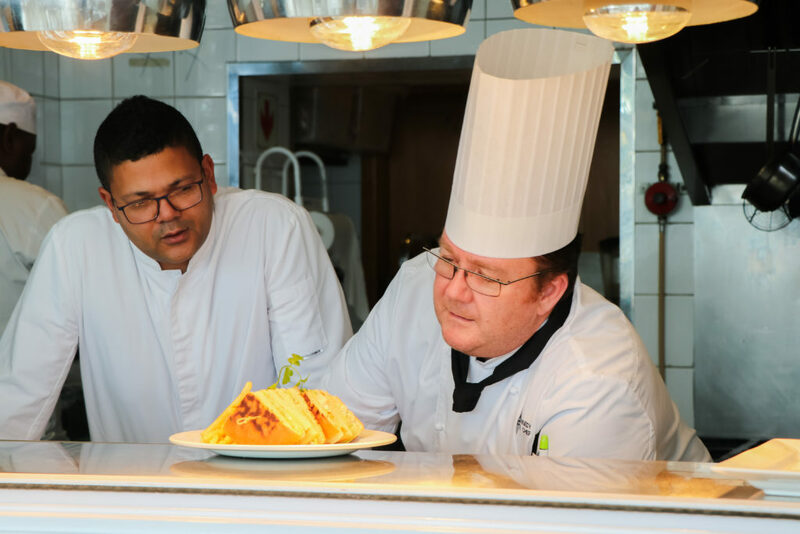 The unique mesh of cultures, traditions and flavours make South Africa the perfect melting pot for culinary masters to hone their skills and conjure up anything from mouth-watering mains to dreamy desserts. At Village n Life, culinary arts form an integral part of the company’s overall vision. Thus, we are truly particular in who we employ to helm our kitchens – and our two latest recruits are not only celebrated chefs locally, but internationally, too. And they’re not afraid to push the boundaries. 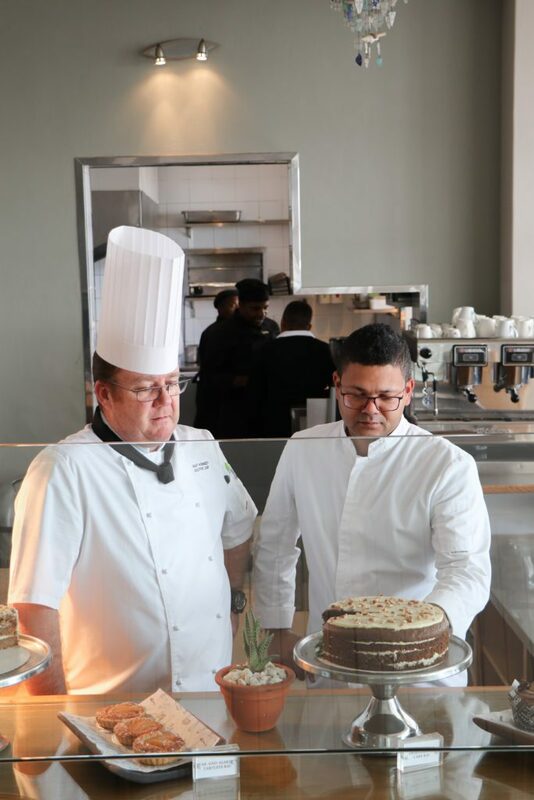 Grant Kennedy, Group Executive Chef at VNL Hospitality and Head Chef at The Bay Hotel in Camps Bay, started his journey with VNL a little over three months ago, while Burton Leo, Head Chef at The Bay Hotel’s sister hotel, Camps Bay Retreat, recently joined the company. Both Grant and Burton have some seriously impressive resumés! We recently had the chance to reel these two away from their busy schedules and chat with them about their illustrious careers, their vision for the future and their favourite food, of course! 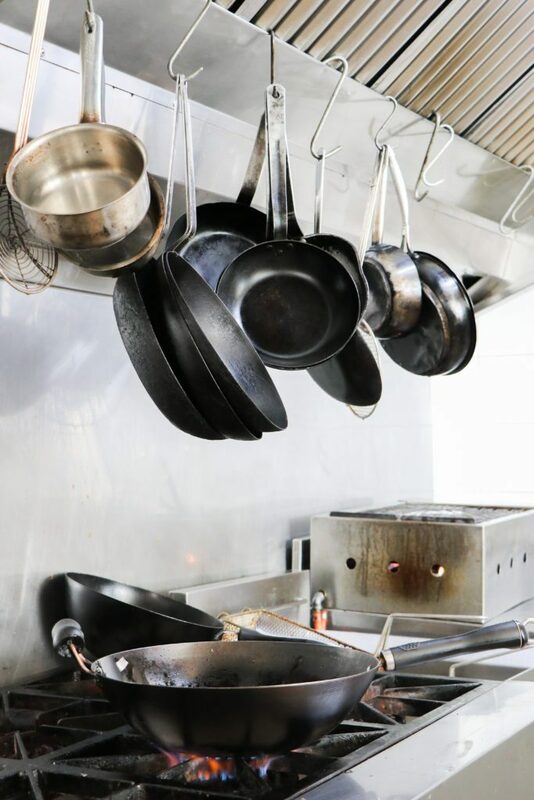 When did you first realize that you were destined for a career in the culinary arts? Grant Kennedy: At the young age of 17, I had just left school and I joined my first 5-star hotel, 1000 km away from home all on my own. I walked into this huge kitchen full of these international chefs – they were dressed in their whites, perfectly ironed with their chef’s hats on – I was blown away by how this busy kitchen was operating. Everyone knew exactly what they were doing, like a machine. I remember their stories about where they had been and worked; from the QE2 ship to some of the best hotels in London, Paris and NY. I wanted to go see that and experience what they had experienced! Burton Leo: It all started at a young age, I was about 7 years old, I use to watch Floyd (Keith Floyd). It was usually aired on Sunday evenings, it didn’t take my father long to realize that I had a passion for food – well let’s just say my father was my first teacher in the culinary arts, from curries to slow roasted lamb leg for Sunday lunches. What has been some of your most memorable (and favourite) moments in your career? GK: From the beginning I wanted to travel and have my own stories, and this I have done. Cooking in the Namib desert (showing Michelle McLean Miss Universe at the time how to make bread rolls), cooking breakfast for AC Malan in Sabi Sands right in the bush, working in the Masai Mara in Kenya, 1km from the great river crossing of the wildebeest migration, being in a hot air balloon just above the crocodiles, game fishing in Mombasa and then taking the catch to serve dinner for my guests (freshest fish ever, wow! ),working with international celebrity chefs while I was working for a top chefs college, cooking the world’s biggest Potjie at Sun City, running the Nedbank Golf Challenge at Sun City – cooking for over 40 thousand guests over 3 days, including A-list celebrities and presidents (my favourite being Nelson Mandela, of course) and sports stars over the years. I have stories more than you can imagine, so every day I have to pinch myself just to make sure it’s real, I love this industry and am very passionate about the culinary trade. BL: Well, being a chef I got to travel a bit. From watching Formula 1 in Monaco, meeting Michael Schumacher and meeting some of the world’s food heroes like Marco Pierre White and Rick Stein. It’s clear to see that both these chefs have an inherent love for cooking, and continue to learn more about their trade at every step of the way. Grant has been the Head Chef at The Bay Hotel for a little over three months. 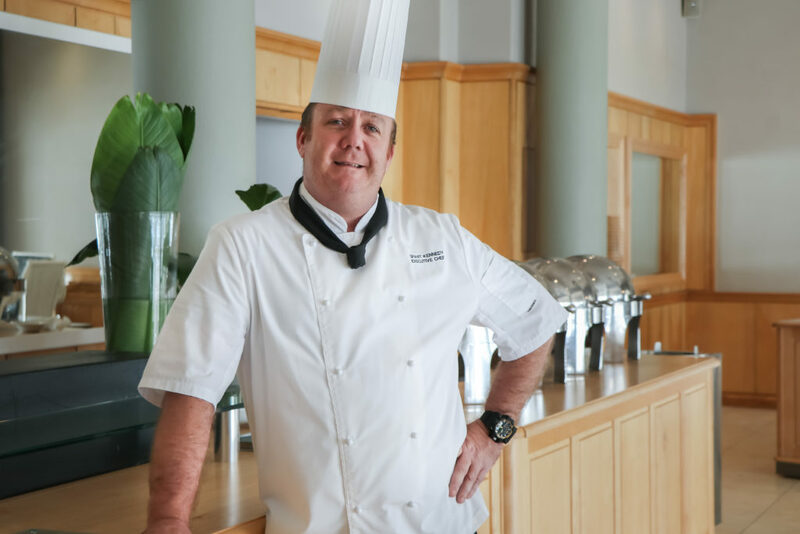 We asked him about his position at The Bay Hotel, what his favourite culinary destination in the world is, and about his love for sweet, baked treats! You’ve been the Executive Chef at The Bay Hotel for a little over three months now. What has been your favourite part of working at The Bay Hotel so far? GK: I love the kitchen environment and I really want to make a difference in the industry. At times I think the operational industry standards have been diluted for whatever reason, so I try my best to bring back these proven standards. Training and staff development is my passion, so this has been my focus and I am really pleased to say that the chefs are working with this quality culture and enjoying their trade – it is evident with the great compliments we are getting from our customers! You say you have a love of baking – what is your favourite thing to bake? GK: My love for baking has come from a young age, licking the bowl from my aunt’s cakes was the beginning! I always say “a real chef eats raw dough” I cannot help myself, I keep licking the bowl! My favourite is a carrot and baby marrow cake. It is so versatile it can stand on its own or with layers of cream cheese frosting or as the base for wedding cakes (replacing the heavy fruit cake). Your career has also allowed you to travel quite extensively. Which destination has been the best in terms of culinary experiences? GK: In the beginning I was not very fond of Indian cuisine. I didn’t like the heat, and I thought that’s what the cuisine was all about. The curries I tasted was the Durban-style curry, and it wasn’t my favourite. Chefs would try and see who could make it the hottest. Then I travelled to East Africa and had the opportunity to work with some fantastic Indian Chefs from India, and my love for spices began (I always presumed that a curry was a shop bought curry powder cooked in a stew!). I was so wrong, the proper curry is all about flavour, spice blends and slow braising, marinating, (flat breads being my favourite), using all their specialty equipment like the tandoor… I did a full vegetarian Indian wedding for 800 people and was blown away by all the different dishes that can be made with vegetables! 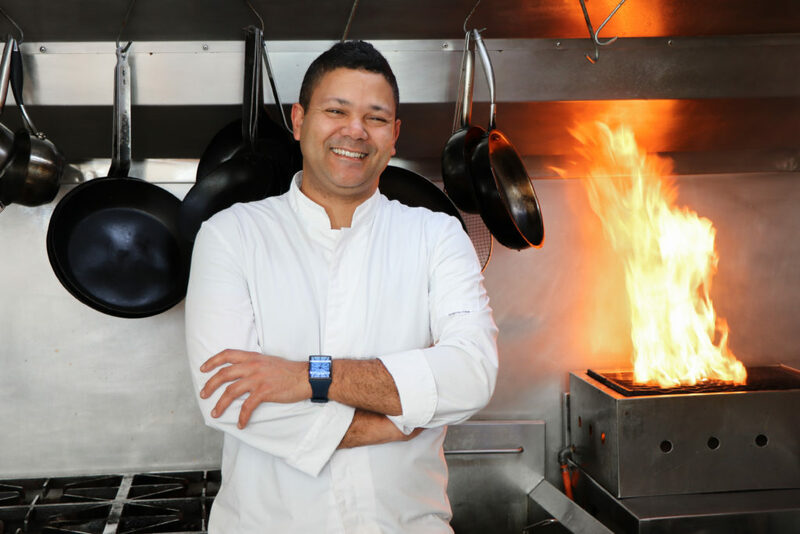 Burton may have only recently joined the family, but his exceptional skills have landed him a spot in the exclusive SA Chefs Team! We found out a little bit more about his position in the team and what he is most excited about in his new position at Camps Bay Retreat. 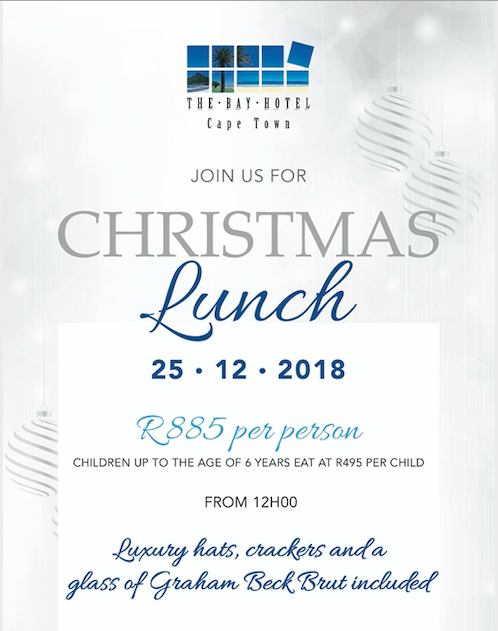 You are part of the SA Chef’s Team – congratulations! Tell us a bit more about that. How did it come about that you joined the team? BL: Well, that is still a bit fuzzy for me. I just came back from leave and was told by my chef at the time, Jocelyn Meyer Adams, that I have to do a cook-off for the Culinary Olympics which was in two days! I agreed – I wasn’t too worried about it, but as a chef it would be a great honour for me to be part of it. A few weeks later the team manager, Trevor Boyd, called me to give me the good news! I was in shock, and all I can remember saying over and over was thank you, and I will not let you down! 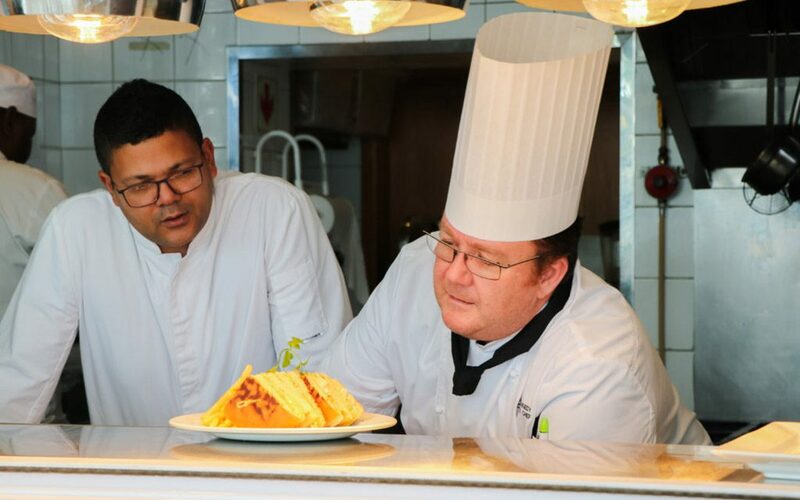 The SA Chef’s Team is heading to Stuttgart in 2020 to compete in a global culinary competition. What are you guys doing to prepare for 2020? 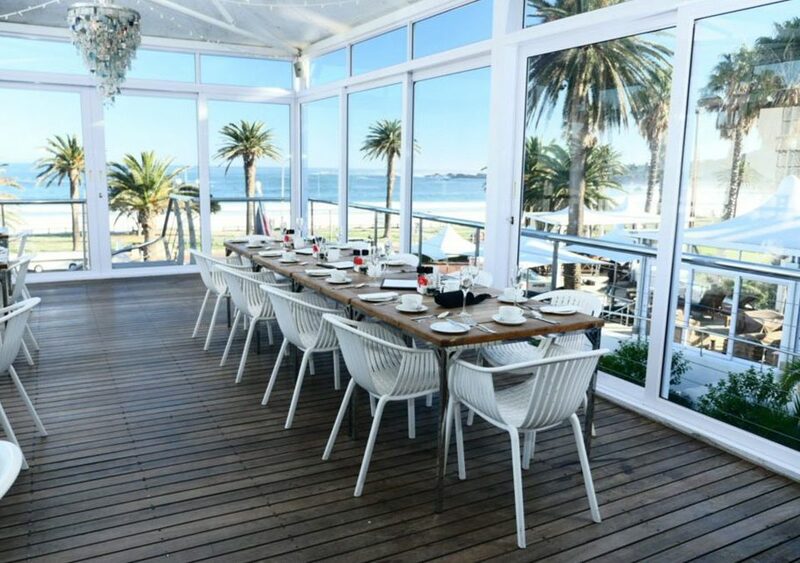 What excites you most about your new position as Head Chef at Camps Bay Retreat? 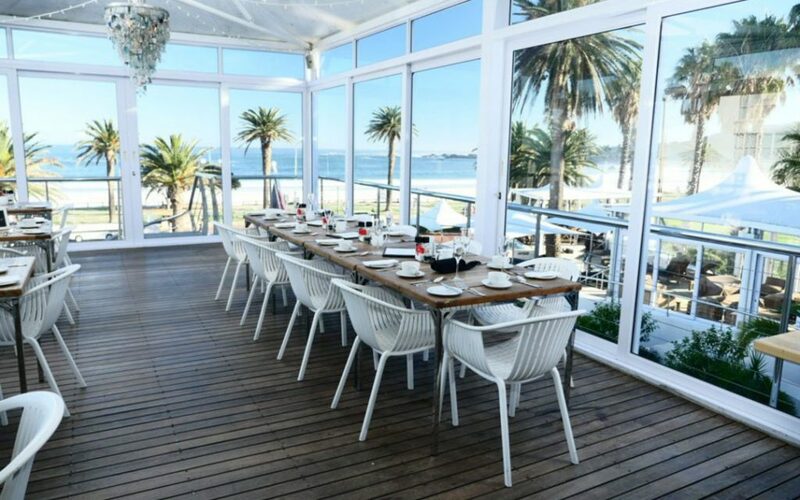 BL: It is a place that can I make my own, be as creative and push boundaries as far as I want, and guide my crew into being great at what they do and, ultimately, to turn Camps Bay Retreat into an amazing culinary experience. Finally, we got down to the really important questions: what their favourite foods are! If you had to live off one dish for the rest of your life, what would it be and why? GK: It would have to be a great mixed salad with fruit, seeds, nuts and vegetables, whatever is seasonal would be awesome and the combinations are endless, I would never get tired of it! What is your ultimate, favourite comfort food? GK: A hearty stew, slowly braised in the oven, root vegetables with fluffy rice, potatoes or fresh crusty bread to lap up the rich sauce. I love lamb on the bone like shin, or chicken – my mouth is watering just thinking about it! BL: I would have to say the humble tomato bredie. It reminds me of my roots growing up and most of all, family.